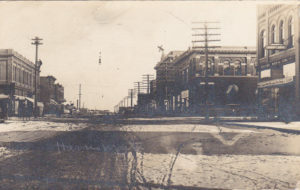 First Street, around 1914-1920; why is that man on the telephone pole? Working? On a dare? Drunk? Good question!